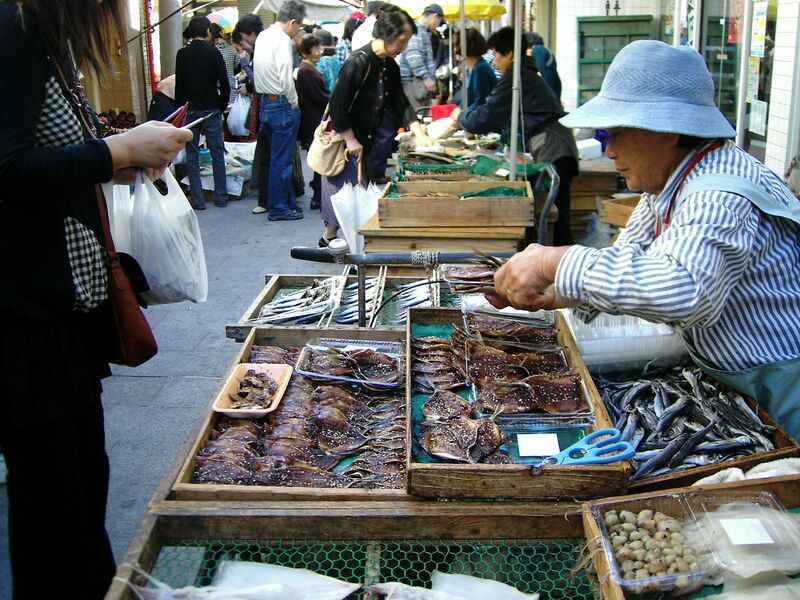 At Morning Fair Street, the east side of Yobuko Port, mornig Market is held from 7:30 to 12:00 everyday. There are about 50 street stalls on Morning Market Street which is about 200m, and fresh fish and shellfish, processed goods, vegetables and flowers are on sale. You can enjoy discussing the price with cheerful shop lady. This is a notorious morning feature only in Yobuko. From JR Station...30 minutes from JR Karatsu line, Chikuhi line Karatsu Station by taxi Using private car...60 minutes from Nagasaki Expressway Taku IC Using bus...Take Showa Bus for Yobuko from Oteguchi Bus Center, get off at Yobuko, and it takes 3 minutes on foot.